Still about ReBrick - I was taking care of my curator duties, during this weekned, when I saw again a video from another magnificent model, by Daniel Martz (avro200). I've immediately promoted it to the frontpage and then decided to add it here as the Week TechVideo. It is a remote controlled Case Steiger 335, aritcuated tractor, with rear Disk and Mower attachments. 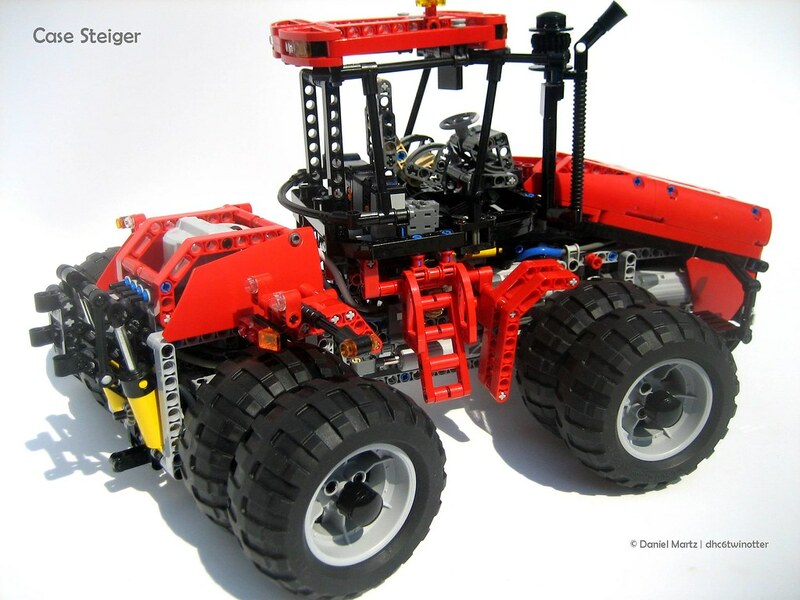 It includes 2 XL-motors and 6 M-motors. Furthermore it looks a very well designed model, as usual for Daniel's models. The video is also very well done! You may find more photos of this tractor and respective attachments, at Daniel's Brickshelf folder and Flickr photostream.